Today we are presenting a little Fashionista! 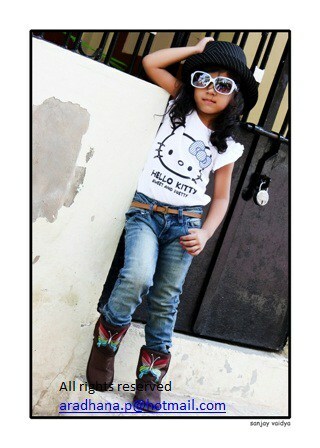 Yes a realtime Fashionista with us and happily we personally met this little fashion girl. 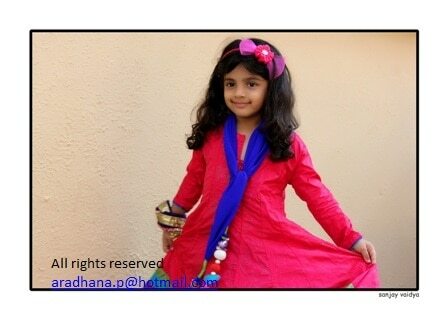 She is just 5 year kiddo but she can rock the ramp with her perfect Fashionista attitude, She has already taken part in several kids Fashion Week and believe us, you can not see others when she is on the ramp! Teeya has walked on ramp in Kids Fashion Show (in Year 2012) for an Ahmedabad based event management company named “Karyeshu Mantri”. Leading Gujarati Newspaper “Gujarat Samachar” columnist/poet Mr. Ankit Trivedi has used Teeya’s photo in his weekly column. 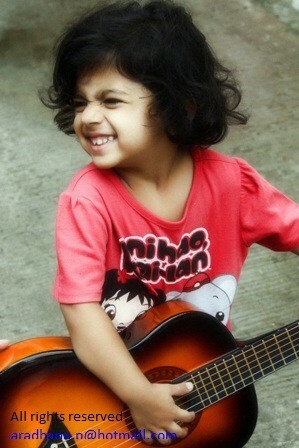 At the age of 3, her photo has been published in Gujarati Magazine “Swarsetu – News Digest” in their special children’s edition. She was selected for representing her school in the inter school speaking forum. Teeya has also delivered speech on the occasion of tree plantation program in front of “Mayor of Ahmedabad”. Attended 5 day dance workshop carried out by Ahmedabad Mirror,a unit of The Times of India. Teeya has performed in 3 annual dance stage shows carried out Spin Dance Academy & Manch Dance Studio. 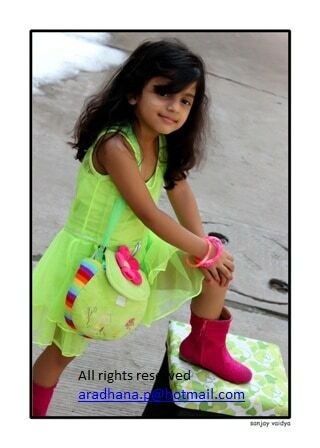 Contact Aradhana at [email protected] for any modeling assignment, Advertising assignment or opportunities in Kids Fashion Week.